In a global economy, business success requires information to be exchanged securely and reliably across network borders. International corporations face the challenge of securing a global network of branches, departments, subsidiaries, partners and project teams around the world. 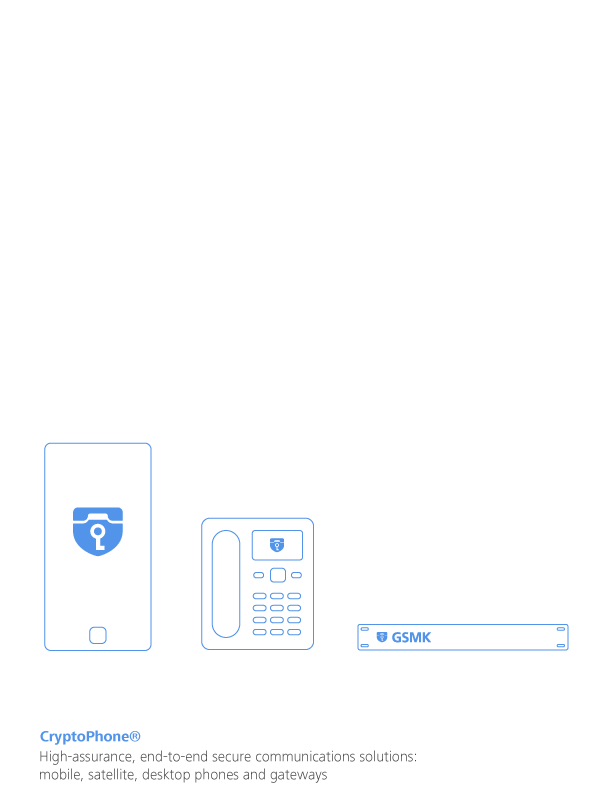 Whether the challenge is to manage a global supply chain, protect periodic R&D conference calls across continents, or consult with dispatched project teams in remote areas, GSMK CryptoPhone® products allow you to concentrate on your business knowing that company confidential information and trade secrets remain just that – confidential. Our unique 360-degree approach to mobile device security manifests itself in the GSMK CryptoPhone® product line of secure mobile, desktop and satellite terminals that offer strong end-to-end encryption, protection of meta data, and a hardened operating system that protects our secure mobile devices against attacks from the outside. We support the full product lifecycle from designing and manufacturing to operating, maintaining and securing the necessary systems, terminals, and software. Working closely with our clients in over 50 countries worldwide, we build and maintain advanced telecommunications security systems that are innovative, reliable, scalable, cost-effective, and long lasting.